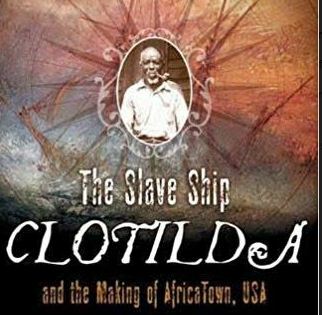 The ” Clotilda” was a illegal slave ship that was burned and sunken in the Mobile (Alabama) River Delta to hide the crime of importing enslaved Africans — as story and search for the remains of the ship that has been undertaken by the National Geographics. The descendants of the Clotilda now extend a warm public invitation to its first annual festival, “Spirit of Our Ancestors” on Saturday, February 9th, 2019, from Noon to 4 PM at Mobile County Training School in honor of those kidnapped Africans who were the last known human cargo brought to the US. The festival is organized around the families of Charlie Lewis, Peter Lee, Orsa Keeby, Pollee Allen, and Cudjo Lewis, who is the most famous among the Clotilda Africans. Cudjo’s narrative — as recorded in the notes of Zora Neale Hurston’s interview with him 90 years ago — was finally released last year as a book, Barracoon: The Story of the Last “Black Cargo.” It is the first-hand account of Oluale Kossola (Lewis’ birth name) who was one of 110 people kidnapped and sold by the Kingdom of Dahomey (present-day Benin), then illegally brought to Mobile aboard the Clotilda. Its captain and his co-conspirators burned and sunk the ship in the Mobile River Delta. While most of the attention has been focused on Cudjo’s life, the other Clotilda Africans who are lesser known are just as important, said festival organizer Joycelyn Davis, a descendant of Charlie Lewis. The families participating in the festival invite other families who are also descendants to come forward with their stories and family heirlooms. Their African forbearers, who were split among various owners who financed the voyage to the Kingdom of Dahomey (Benin), sold up the river north of Mobile to other plantations and were not part of founding Africatown. Dr. Natalie Robertson, the festival’s keynote speaker, spent 15 years researching and writing the Clotilda story, even visiting the Benin village of slave traders who sold the 110 and millions of others in the Trans-Atlantic slave trade. “My book is a vehicle for the enslaved Africans and descendants to raise their voices and be heard.